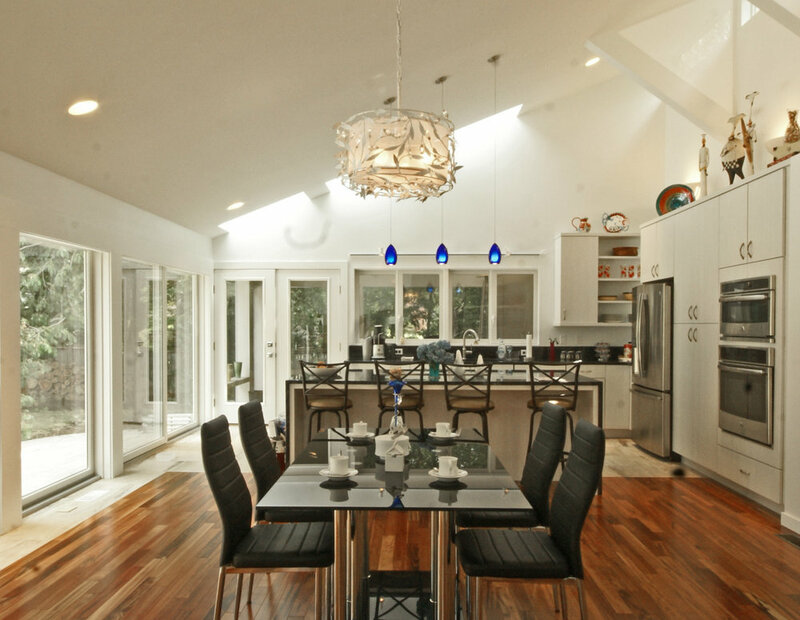 A dining room, kitchen, and screened porch were added to the existing residence. 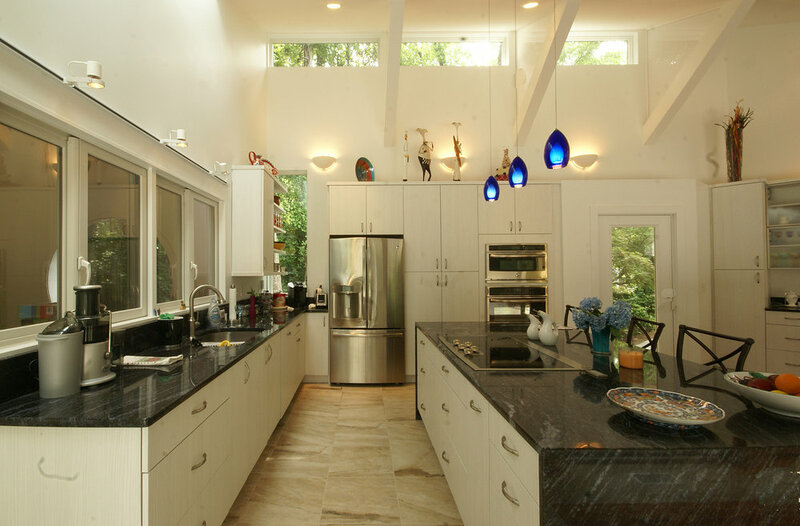 The addition was angled in plan to better relate to the existing swimming pool. 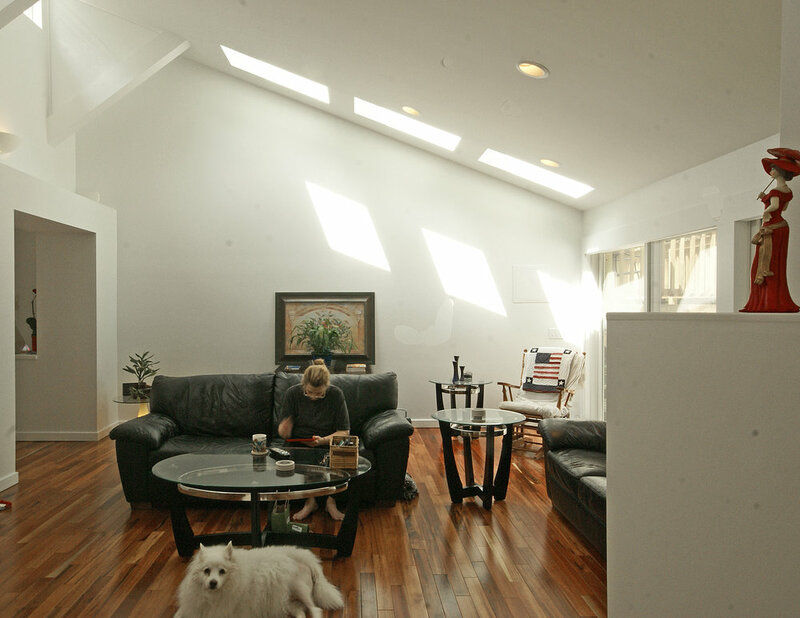 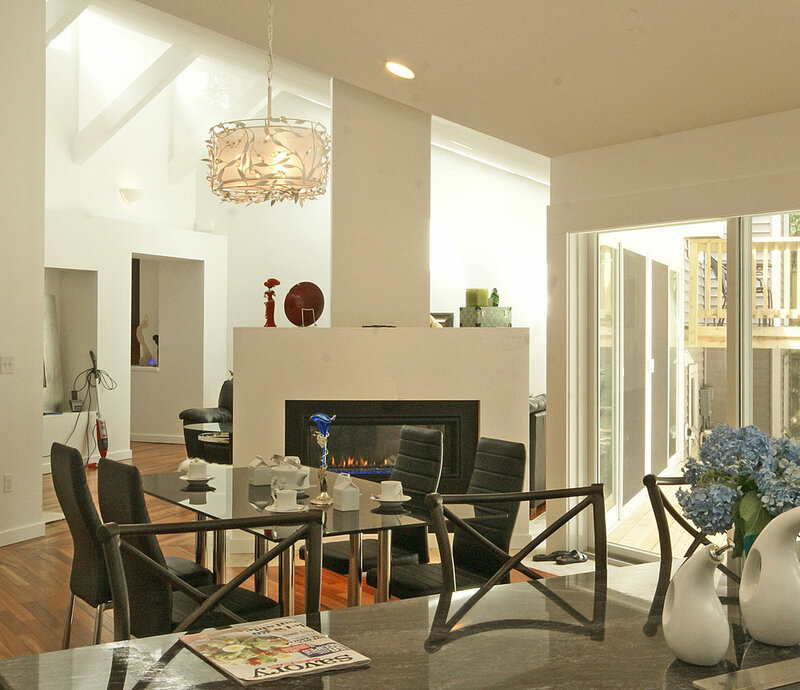 Skylights were added at strategic locations to enhance the daylighting of the "great room." 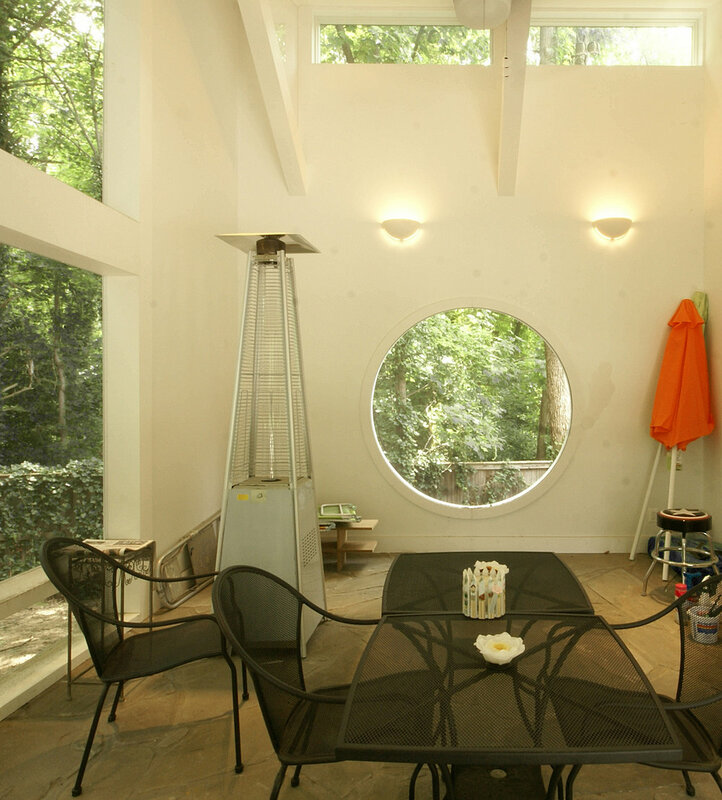 All other parts of the house were modified as well.